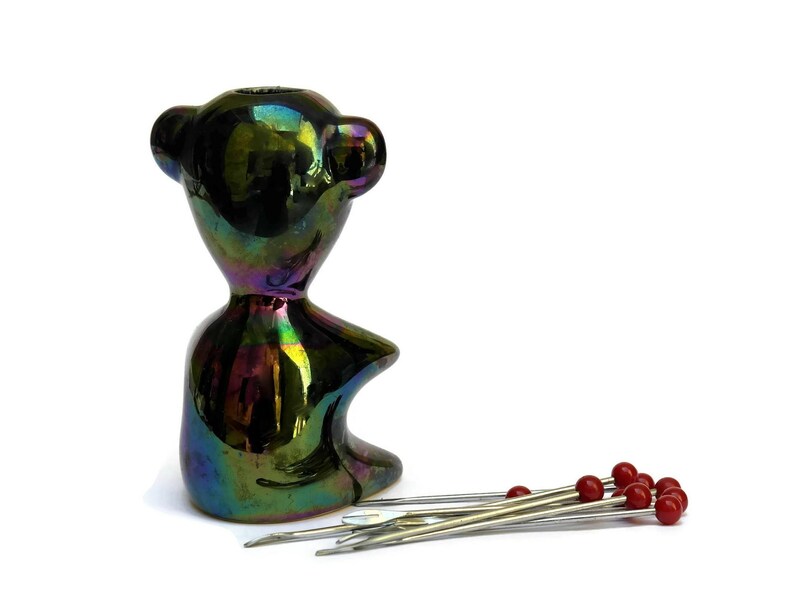 Mid Century Modern Lusterware Ceramic Bear Figurine Cocktail Fork Holder. A mid century modern cocktail fork holder manufactured in France in the 1950s. 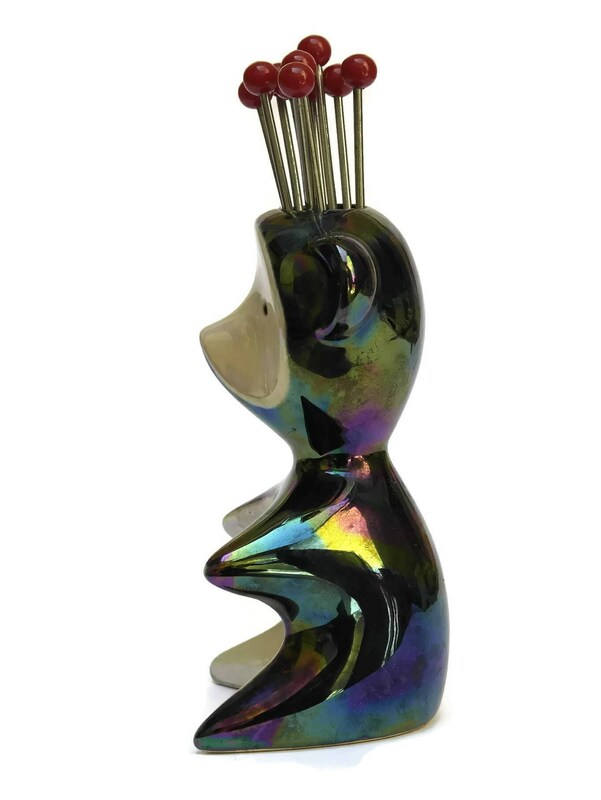 It has been created in the form of a ceramic bear which has been decorated with a vibrant lusterware glaze which reflects the late in a rainbow of colours. 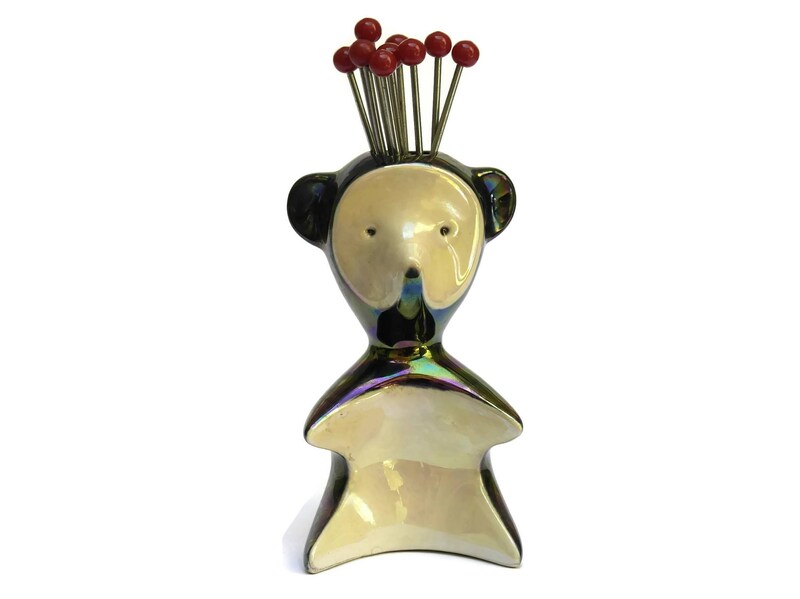 The bear figurine has an opening at the top to hold a set of 10 chromed metal cocktails forks with red plastic balls at the ends. 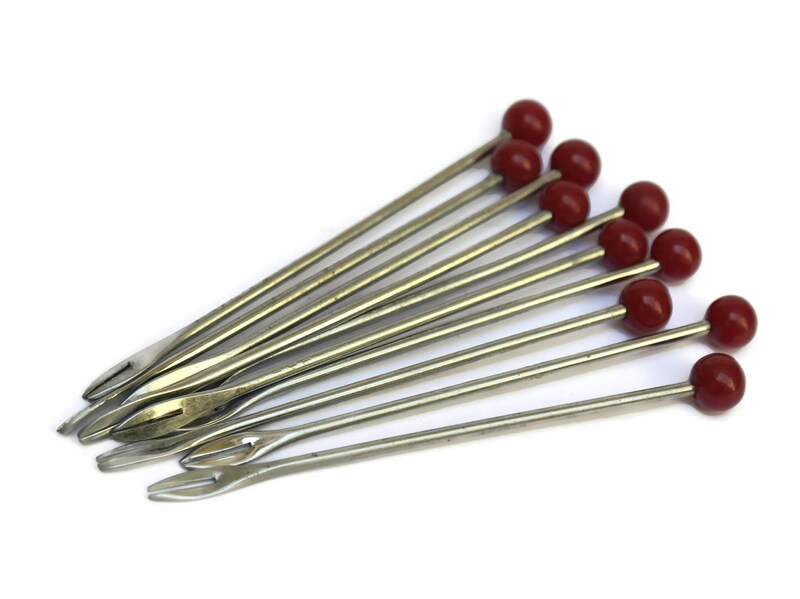 Each fork is 3 1/2" Long (9cm). 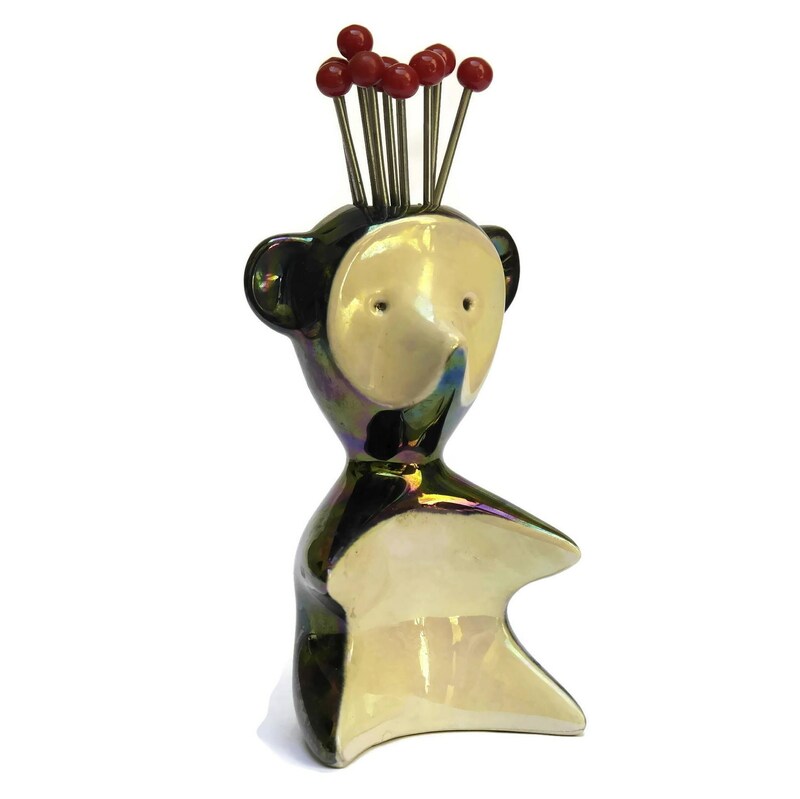 The ceramic bear and forks set are all in very good condition.